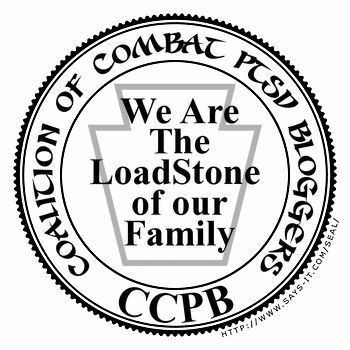 I follow a blog written by a wonderfully talented person, who calls herself THE NicNacManiac. She hails from the Great White Northern Wonderland of Canada. Next month her homeland will be the world's focal point during the 2010 Winter Olympics. She used to do a post on Fridays she called Vintage Black Friday. That was my inspiration for the Classic Black Friday posts. Well, wonderful Nerina stopped the black Friday posts and started Silver Sunday. And Pink Saturday. I still want to show a little appreciation for how inspiring her work and eye for beauty have been to me. But I have almost no PINK in my life. It just doesn't fit my haberdashery choices. So I looked and looked to find something that would fit in to the spirit of my blog and still be pink enough to pay tribute to my favorite fashionista. 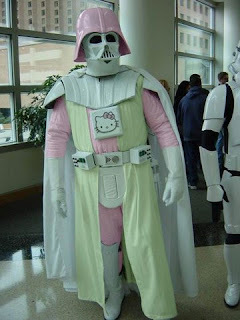 And this Hello Kitty Vader, and a PINK ASSAULT RIFLE were the best I could come up with. So if this doesn't slake your thirst for Pink (and even if it does), go see what The NicNacManiac has in store for you today. Be well. Be blessed. And be a blessing to others. Oh my gosh....Hello Kitty...that is just fabulous!! You are really just a crazy man....did you notice a couple of days ago I posted especially for you a 'Bird of Paradise' and a 'Silver Bell'...who says I don't listen! 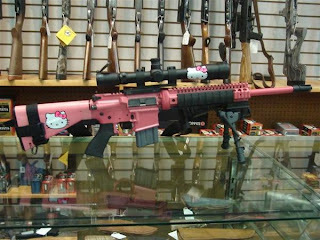 I want a pink Hello Kitty assault rifle. Golly, I better go tell my hubby. That is even more exciting than the pink handgun I saw. WOW! Hello Kitty is the BOMB! I really like the color pink on me, but Hello Kitty and I don't go well together. "Nice" and "Macho", what a great combination! Almost as much as I love pink, lol. I remember when I was pregnant. ALL the clothes were pastel pink or blue and most had ducks, farm animals, buttons, bows and ribbons on them. AARRGGGG! Very "cute" I suppose. NOT!! blech..blech..blech. Anyway, it was very difficult to find a good Morticia Adams maternity outfit. However, your pink items are cool....at least for pink! I never got on the Hello Kitty train.